In the House Appropriations Budget Meeting for the PLCB held earlier this month, the PLCB leadership said that they would have to dip into reserves to meet the Governor's anticipated request for $185 million. Why is that, if "modernization" is going to be the windfall that the Governor (and clerks' union president Wendell W. Young IV) says it is? Are their arguments that facile? The Governor said in his "Budget In Brief" of 02/07/17 (pg.15) that through modernization ..."an additional $137 million in LCB revenues will be generated." The PLCB didn't correct or disagree with that number. So let's see what doesn't add up. If their income for FY 2015-16 — after paying for the BLCE, but before the General Fund Transfer — was $103,856,933 (which it was, according to their financial report), then a $137 million increase would take it to just over $240 million. But if the PLCB has to dip into reserves to pay $185 million, that has to mean that their so-called "profit" is less than $185 million. OH NO! 42 million of my friends are missing! However, during that same budget meeting — in sworn testimony — the PLCB said that even with record sales again, they would only make about $90 million for FY 17-18. That $90 million and $137 million "modernization bonus" take it to $227 million in total. That's $42 million more than the $185 million they said they could pay IF they dipped into reserves. So where is this $42+ million going? If they make the $90 million they project, and the $137 million additional that they didn't object to, then turning in $185 million to the General Fund should be no problem. Remember that these numbers are what the PLCB calls "profit," so everything (except the $238 million in pension debt...but that's another story) is already covered. We have to ask: why after all the "modernization" is in place does the PLCB think they are actually going to make LESS than they did in FY 15-16? Could it be that "modernization" is a sham, and that it isn't going to bring $137 million, or $100 million, or even $80 million? Is being off by well over 60% how the Governor and the PLCB do estimates? How big a failure is this going to be? The MINIMUM $42 million off would push this well beyond wine kiosk failure, or the 66% computer cost overrun, or selling house brands or anything I can think of. This would be a failure the size of the 82 year lie that the State Stores would be convenient to the public. They got what they wanted, "flexible pricing" and all, so show us the modernization money, PLCB! Do the math and decide: are they just stupid? Or is the PLCB deliberately misrepresenting how much money they will bring in for the Commonwealth? Why does PA think the PLCB has more value than the Military? Back in August of 2014 I wrote about the supposed value of the PLCB workforce compared to the rest of the labor market. I said, "One can get an idea of how society values a profession by the compensation given." It's a fundamental truth of how the free market works...except in Pennsylvania, where the Legislature has denied reality for decades and inflated the value of PLCB workers to an extreme. What do I mean? Try this. According to testimony at the State Senate Appropriations Committee meeting of 2 March 2017, the average value of benefits for a full time PLCB employee is 93.6% of salary; so for example, the value of benefits for a clerk making $30,000 a year would be 93.6% of their salary ($28,800), so their total compensation would be $58,800. Really? Why are liquor store clerks worth about $9,000 a year more than combat infantrymen to the state of Pennsylvania? Is their job more stressful? Do they work longer hours? Do they perform a greater service to the citizens? I don't know who made this shirt but I want one**. So the next time you have to go to the State Store, or have to settle for something because the bureaucrats in Harrisburg decided not to sell the item you wanted in their monopoly system, and they don't allow you to go anywhere else, stop for a moment. Ask yourself if maybe the state should be funding Veteran's care with the same zeal they fund state store clerks. *pennwatch.pa.gov lists everybody and their salary who works for the state including those in the PLCB. 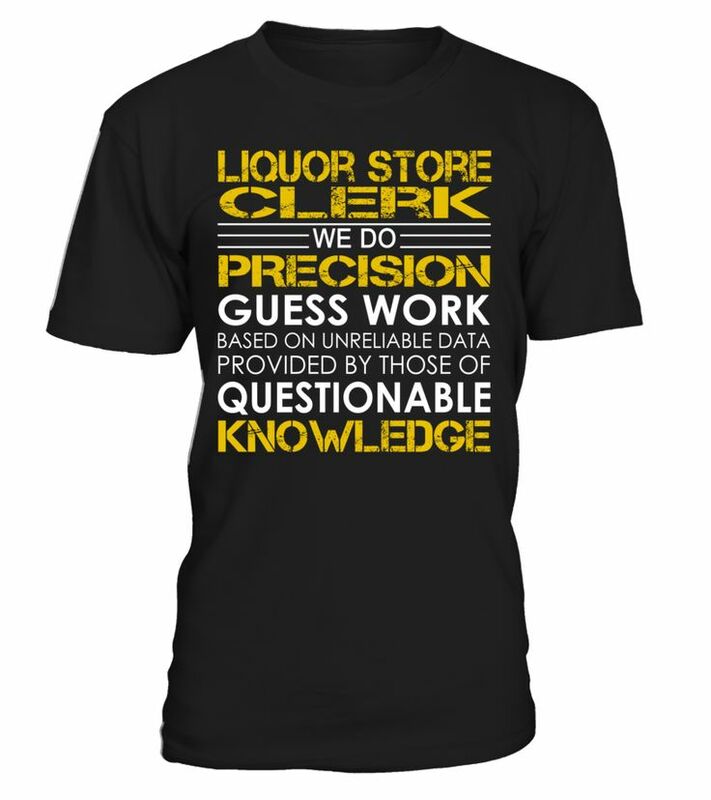 Search under Liquor Control Board for Agency Name, then select Liquor Store Clerk 2 under the Positions drop-down menu in the results. There are 22 pages of data: add up the individual salaries, divide by the number of them to get an average, and then multiply that result by 1.963 to get the total of the average salary and benefits. For those working for Uncle Sam it is a bit easier. They do it for you on this site (I used the PLCB HQ in Harrisburg zip code). I've just gone ahead and done the math on the PLCB compensation for you, but you can check my work. ** Buy the T-Shirt here! Looking at the PLCB's inventory sometimes gives the impression that they never learned to read the simple information on a liquor label. If you call them on it, they are usually pretty quick to blame the vendors, saying they are supposed to provide this information. But passing that buck just proves they don't really care if the information the public gets is correct or not. Let's see how stupid they were this week. I can't even begin to come up with any excuse why this isn't filled out correctly; maybe they can't read and type in the same day. This one is a little trickier because, uh, you know, it's a long way from the 1st to 4th line. Bourbon can only be made in the U.S. - so that means it is all domestic. Cognac can only be made in the Cognac region of France - that means they are all imported. Armagnac and Calvados can only be made in France - also all imported. Irish Whiskey can only be made in, yup, Ireland - again, imported. Brandy de Jerez can only be made in Spain - so they'd be imported. Tennessee Whiskey can only be made in Tennessee - that means it is all domestic. Now I know it will take some time to fix this (although a real business could probably do it in a week, or less). So I'll keep posting examples just so they don't forget or ignore it, like they have been for the last 20 or 30 years. You know..."in the public interest." We deserve better - PRIVATIZE NOW. *If you have any questions about this you should have asked them decades ago but just in case - here is the U.S. Department of Commerce's Office of Trade Agreements Negotiations and Compliance letter on the subject.